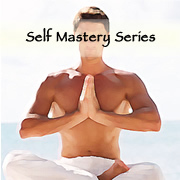 The Self Mastery Series is a collection of charts that focus on mastering our mental and psychology health. A Special set of pendulum charts to complement your holistic treatments like Theta Healing, Spiritual Response Therapy, Life Alignment and advanced holistic therapist. 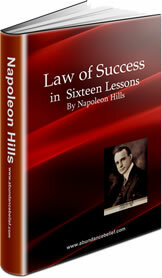 There are a total of 7 charts with 252 nuggets of wisdom in this series. How to use Self Mastery Divinity Pendulum Chart Series? The subconscious mind is full of limiting beliefs that will automatically block the establishment of abundance consciousness. Have you ever wondered about the origin of such limiting beliefs? Mass media, society, family members, and friends and even past lives can be the source of limiting beliefs that inhibit us from expressing our full potential. When you use Abundance Belief’s Source of Belief Chart together with your pendulum, you can uncover the ground zero of limiting beliefs. Your Higher Self can help you increase your level of self awareness and embrace abundance consciousness. Relax, allow the wisdom of the Higher Self to flow through your body and reveal the divinely guided answer to you. Do note that a limiting belief can arise from more than one source. Check with your Higher Self if there are other sources contributing to this negative mindset. If yes, continue with your research till all sources have been revealed. In Freudian psychoanalytic theory, defence mechanisms are unconscious psychological strategies brought into play by various entities to cope with reality and to maintain self-image. Healthy persons normally use different defences throughout their life. An ego defence mechanism becomes pathological only when its persistent use leads to maladaptive behavior such that the physical and/or mental health of the individual is adversely affected. The purpose of ego defence mechanisms is to protect the mind/self/ego from anxiety, social sanctions or to provide a refuge from a situation with which one cannot currently cope. PsychCentral By John M. Grohol, Psy.D. The negative ego/fear-based/separative thought system can sabotage your ability to manifest success in every aspect of your life. Higher Self, which negative ego thoughts affected me today? Higher Self, which negative ego thoughts do I need to transcend further for the issue of ___________? Higher Self, which negative ego thoughts are sabotaging me to work with ___________(Angel, Masters or Higher Self)? Higher Self, which negative ego thoughts are blocking my manifestation of ___________?